Consumerist: Malaysian Highways The Most Dangerous In The World! Malaysian highways the most dangerous in the world? Perhaps, true as I found out this morning at about 6.45am returning through the NKVE and 20 meters from the Subang Jaya exit where a huge retreaded Tyre was on the fast lane! There was a Plus van meters away but these bunch of Malaysian idiots – good for nothing – never removed the said foreign object and I and others smashed into it! The damage to my car – the left fog lights smashed, the bumper and the undercarriage damaged! But thank GOD it was a Mercedes and not a smaller car which could have gone out of control and resulted in fatalities! I intend to whack these idiots who are managing NKVE as months ago a neighbor of mine ‘Uncle Salleh” smashed into a water tank – Yes! A water tank on the fast lane! Must have dropped from a moving lorry and his car was a total wreck! What to do when we have a bunch of absolute idiots running management of highway concessions in this country! Do I have a case at redress? Yes – as I paid to use the NKVE and they have a duty to make that highway safe for all users! But do they do it? CASSA CAMPAIGN: PROTECTING OUR WOMEN FOLK FROM ROBBERS! 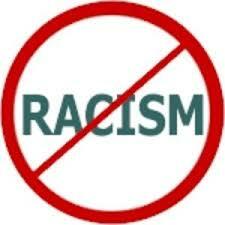 Our campaign against RACISM of all forms! This entry was posted in Uncategorized by jacobg. Bookmark the permalink.